Without ugly borders around your translucent glass, the effect of the invisible material is amplified considerably. Glass without frames looks much more clean and modern, as opposed to the dated feel of framed glass. 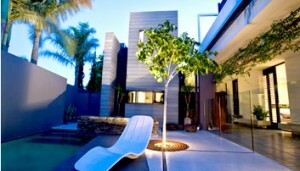 However, frameless glass is a relatively new invention, and it is a bit more complex to install than traditional glass. It is very worth it, though. When glass has a frame, it is easy to install, as it is just treated is if it were a solid metal square. For the purposes of installation, they are just laid and caulked in place without any other difficult steps. The placing of the glass is easy, but the effect it creates is generally cheap and dated. However, this technique is slightly more difficult to achieve than that of the framed glass, so the installation is best left to certified contractors. With the right setup, framed glass can seemingly defy gravity and give the appearance of being unsupported. Frameless glass looks great when applied inside the home, and especially to showers and baths. 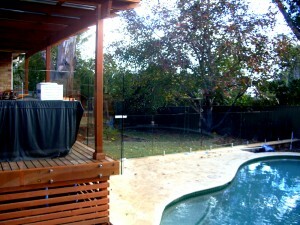 However the true calling of this type of glass is for the outdoors, and most certainly for the fencing of the pool. When you fence your pool with unframed glass, it gives a much better appearance than any other framed glass, or even any other type of material, including metal and plastic. With frameless glass, you can have the appearance of unsupported glass with the utmost structural integrity, keeping your pool securely fenced in, without any worries about its looks, or more importantly, its safety.